Please select your desired course type and enter in a requested start date. After chosing a course/seminar type you will be provided an additional series of questions that will assist us in planning your event. Consecutive days (ex: Thursday - Sunday) Two consecutive weekends- (ex: Sat/Sun, Sat/Sun) Please note that two weekend courses are only available when there is an Instructor Trainer within driving distance of the course. Thank you for your interest in organizing a Sanctioned Safety at Sea Course. US Sailing has been sanctioning Safety at Sea courses for more than 30 years and has overseen more than 400 courses. A sanctioned course follows the Safety at Sea Curriculum, uses an approved Moderator, and follows the other requirements in the Organizer Agreement. The curriculum is based upon World Sailing recommendations, including Offshore Special Regulations Appendix G, as well as lessons learned from accident investigations conducted by US Sailing and other experts in the field. We have had tremendous experience in improving the safety of our sport and we remain steadfastly committed to our goal of Safety at Sea. US Sailing provides staff support to course organizers and maintains a national database of sailors who have completed a Sanctioned Safety at Sea Course. The Moderator serves as consultant to the organizer during the planning phase and is the course leader during the day of the presentations. The organizer is responsible for event planning and manages the budget, promotion, and other logistics of a successful event. Organizing a course can be very rewarding, educational and, with proper preparation, a lot of fun. Your course is one important step in the educational process. It typically takes about 6 months to plan a successful Safety at Sea Course. Occasionally an organizer may need to plan and host a course within a one or two month time period, especially if sailors need safety training for a particular race. Many aspects of planning and many helpful hints are found in the Planning Guide. Here are the first steps. Complete this form (the Organizer Agreement) as soon as possible. Please review the linked documents as you prepare. We encourage you to communicate with your Moderator. Their expertise both in the field and behind the podium will be an invaluable resource to you. As always, contact our office if we can be of assistance in any way. We stand ready to help. Please click "Next" to begin the course request process. Thank you for offering to host a race official seminar - we rely on volunteers to help us train Race Officials and your willingness to pitch in helps us to advance the availability and quality of seminars. Prior to completing the online form, please review the How to Organize a Seminar document. We strongly urge you to utilize our cost calculator to determine as low a course fee as possible. Most partcipants register for seminars at their own expense. Seminars should not be viewed as a potential revenue source for the host. This calculator provides for both fixed and variable costs (US Sailing administrative fee, food, facility rental, instructor expenses, etc.). It’s best to discuss this with the instructor before taking the next step. Some hosts prefer to absorb some of the seminar costs rather than pass them on to the participants – that’s fine, but please make sure you are aware of what you will need to cover. US Sailing cannot reimburse additional expenses that are not included in the registration fee. If you need assistance, please do not hesitate to contact the Race Administration Office or call 1-800-877-2451. PLEASE NOTE: Club Race Officer seminars require the approval of the Area Race Officer. They will automatically be notified when you submit this form. Please make sure you have received proper approval before publically promoting any seminar. Please click "Next" to begin the Seminar request process. PLEASE NOTE: Advanced Race Officer seminars require the approval of both the Area Race Officer and the Chairman of the Race Officer Certification and Training Subcommittee. They will automatically be notified when you submit this form. Please make sure you have received proper approval before publically promoting any seminar. PLEASE NOTE: Club Judge Seminars (CJS) require the approval of the Regional Administrative Judge. They will automatically be notified when you submit this form. They will be automatically notified when you submit this form. Please make sure you have received proper approval before publically promoting any seminar. PLEASE NOTE: Advanced Judge Seminars require the approval of the Regional Administrative Judge and the Chairman of the Judge Education, Training and Testing Subcommittee. They will be automatically notified when you submit this form. Please make sure you have received proper approval before publically promoting any seminar. PLEASE NOTE: Judge Round Tables and Judge Protest Days require the approval of the Regional Administrative Judge and the Chairman of the Judge Education, Training and Testing Subcommittee. They will be automatically notified when you submit this form. Please make sure you have received proper approval before publically promoting any seminar. PLEASE NOTE: Umpire Seminars require the approval of the Chairman of the Umpires Committee. He or she will be automatically notified when you submit this form. Please make sure you have received proper approval before publically promoting any seminar. A B C D E F G H J K L I'm not sure. Please provide your contact information, or the information of the person who should be listed as the contact for this course/seminar. Any questions about the venue will be directed to this person. Judge Round Table and Judge Protest Day: Online registration will remain open through the day of the event. Participants may generally walk in, but we ask that they check with the organizer ahead of time to ensure there will be enough room. Round table materials are provided on site by the organizer. No materials are sent by US Sailing. If there is pre-reading for the round table, please arrange to provide it to the participants before the session begins. US Sailing will be happy to help you find an instructor. We suggest that you look at Find an Instructor and/or consult with your Area Race Officer, RAJ or the Chair of the Umpires Committee. If you need further assistance, please contact the Race Administration Office or call 1-800-877-2451. Please use the Seminar Fee Calculator to determine the fee you should charge for your seminar. Please include any additional information to be included in the seminar listing (location other than host club, additional costs, parking, possible accommodations, etc.). Have you secured the services of a moderator? No current moderator has been selected. We have secured an Approved moderator. We have secured and Approved moderator AND a strong second speaker. In all host literature and publicity statements, we will list/cover the primary core curriculum topics in this course-planning document, and based on the advice of the Moderator, add other topics as needed. To prominently display the Safety at Sea banner at Check-In (sent to us by US Sailing). 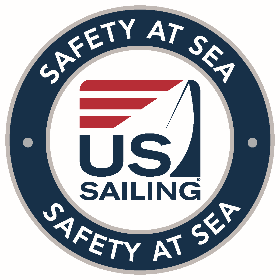 To return US Sailing’s Safety at Sea banner within five (5) business days following the course. An unreturned banner will result in a $125.00 charge for replacement of the banner. A return UPS label is provided with the banner. To email the spreadsheet to SafetyatSea@ussailing.org within seven (7) days of the completion of your course. $15.00 - US Sailing World Sailing Certificate if the attendee has documented proof of having attended an Offshore Safety at Sea course or taken the online Offshore Safety at Sea course within the last 365 days. This complete agreement, along with the planning guide, can be found here. I agree to all conditions and requirements as defined in the Organizer Agreement. No preference I have a particular IT that I would like to have teach our course/seminar. I confirm that I have the authority to schedule events/courses at my club/organization.